No doubt many operations already have fired up outdoor grills, but May is National Barbecue Month, the “official” start of grilling season. These recipes may inspire you to try something new on the grill—like pork and watermelon kebabs, a grilled salad, stuffed onions or skewered spiced lamb. They all are easy to execute, and can work just as well on an indoor grill if the weather doesn’t cooperate. Tri-tip is an economical cut of beef taken from the large triangular muscle of the bottom sirloin. Marinating before grilling tenderizes the meat and infuses it with flavor. 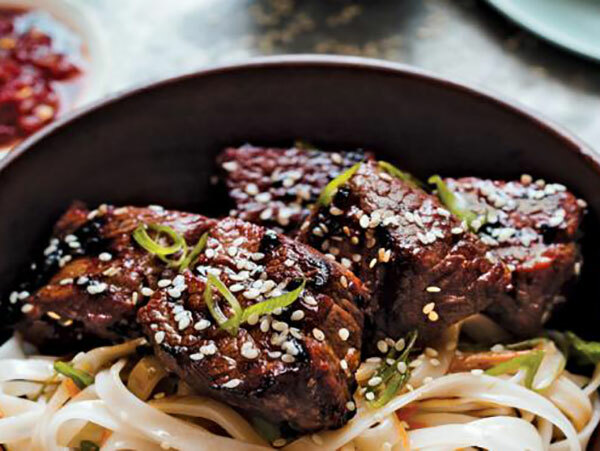 Chef Guas blends his Asian-style marinade from honey, soy sauce and black vinegar seasoned with ginger and chili-garlic sauce. With vegetables moving to the center of the plate, there’s a trend toward preparing them with typical meat-cooking techniques, like grilling. 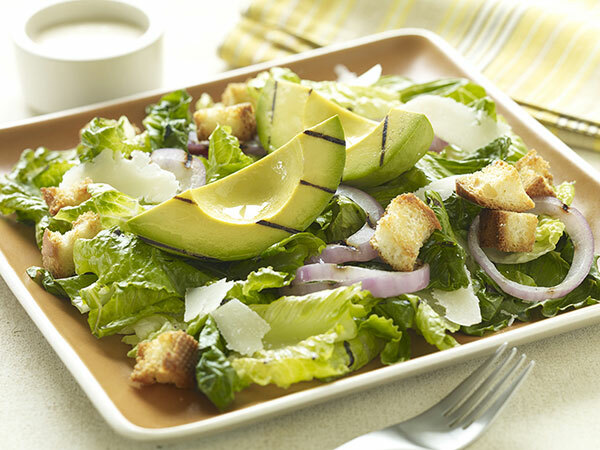 Here, the smoke and char take salad ingredients into a bold new flavor dimension. 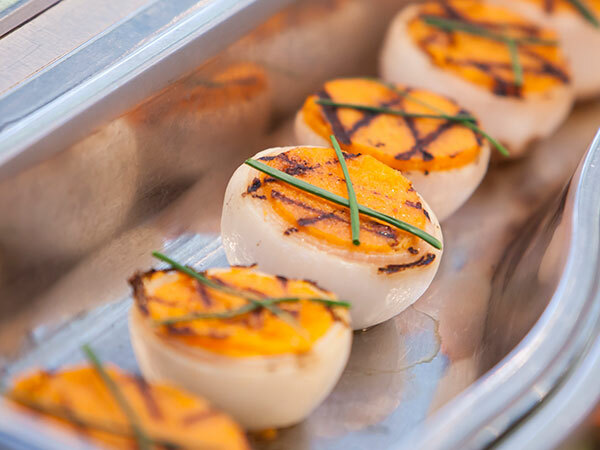 Vegetarians won’t feel left out from the barbecue loop when polenta-stuffed onions are tossed on the grill. Chef Essig’s recipe turns out a hearty entree packed with flavor. 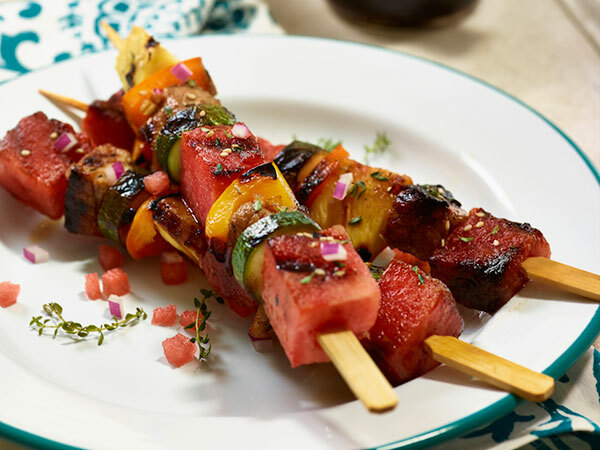 Skewered foods are a favorite on the grill and offer easy portion control. Instead of threading meat with the usual vegetables, differentiate the kebabs with summer fruits, such as watermelon and pineapple. Grilling mango caramelizes the natural sugars in the fruit and intensifies the flavor. 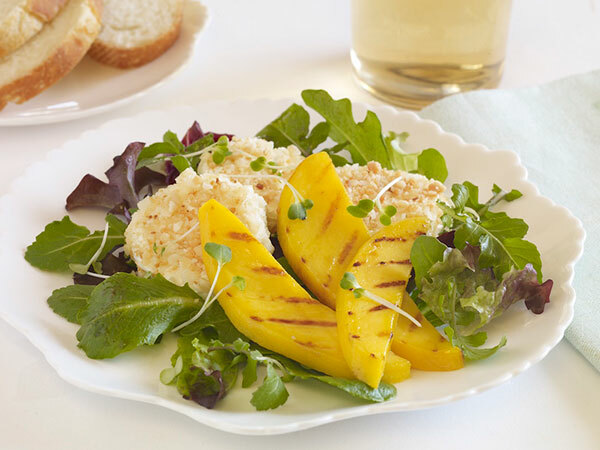 Chef Morales pairs it with creamy goat cheese, bitter arugula and crunchy nuts for textural and flavor contrast. 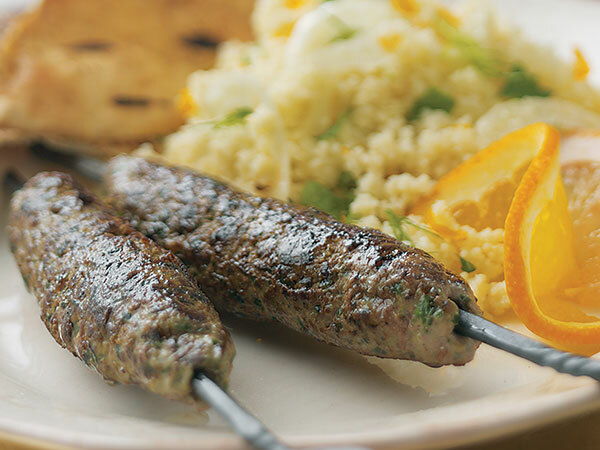 Wrap ground lamb around skewers for an easy and cost-effective handheld appetizer or entree.